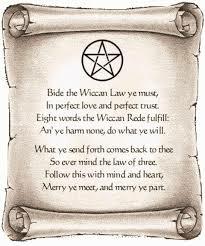 The Wiccan Rede is a staple of the Faith. The phrase itself is derived from Old English, though these eight words have been associated with the Wiccan path to spirituality as a result of Doreen Valiente’s 1964 speech. In its most common form, the Rede is “An it harm none, do what ye will.” In this context, the word ‘an’ means ‘if’, and ‘ye’ means ‘you’. Many variations of the Rede have since been recorded, including a twenty-six line Long Rede that is well-recognized amongst Wiccans today. Though it may appear simple enough, the meaning of the Rede transcends any literal interpretation. It should not be taken superficially to imply that Wiccans believe that any action taken by a person is acceptable so long as they do not inflict physical harm upon another person. Instead, the Rede should have a personal meaning to the individual. In their decision-making process, all individuals, not solely Wiccans, should take the action that affects nobody negatively. If the individual is satisfied that their decision is the ‘right’ one, then they should have no guilty conscience about proceeding to do what they have chosen to do. We have dedicated some weeks to the discussion of the infamous Occultist, discussing his life, his work, his theory of True Will, and his philosophy known as Thelema (to read these commentaries visit arcanelibrary.com). Crowley had a leading impact on the rise of the Occult from the underground. He became acquainted with and greatly influenced Gerald Gardner, the founder of Wicca, in the final years of his life, as well as many other notable Wiccans and Practitioners of the Craft. Despite the impression he left upon these individuals, Crowley’s primary beliefs have been dissociated from the Wiccan path to spirituality. He was not known as a very moral or selfless man. 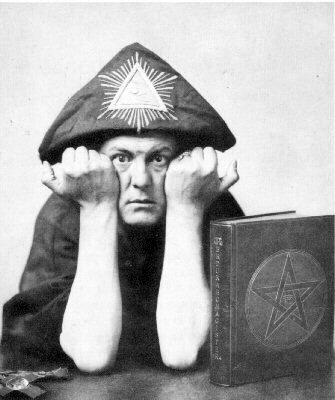 The fact of the matter for many Wiccans well acquainted with the history of the Occult is that the Practitioner of Magick within them urges them to follow the avenue walked by Crowley, yet the humanist within them rightfully restrains them from doing so. Crowley claimed that The Book of the Law, sometimes referenced in Latin as Liber Al Vel Legis, was dictated to him by a discarnate entity. In Egypt, Crowley and his wife went through a month long ordeal of Rituals and Practice in order to reach the stage of encountering this being. Some scholars state that this entity was an angel, others a demon that Crowley summoned, others an expression of Crowley’s subconscious self, and even others simply as Crowley under the influence of drugs. The book has three chapters that were each written in a one-hour period during a three day span. To briefly summarize, the Book of the Law is considered a holy book by many that sets the foundation for Thelema. It is basically a list of rules and guidelines spoken to Crowley by the discarnate entity (whom he called “Aiwass”), including the primitive form of the Wiccan Rede in the 40th verse of the first chapter. There is no doubt that those who helped to establish and organize the Wiccan Faith, including Doreen Valiente, employed Crowley’s wording in The Book of the Law when spawning their omniscient principle. However, there was the need to change Crowley’s wording to incorporate the idea that an individual taking action alone is insufficient to guide their life’s path. Rather, the action must not impose upon anybody else physically, emotionally, or mentally, even minimally, or else the chain of humanity will be broken. 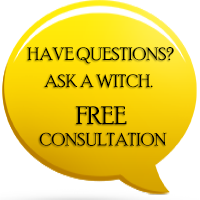 There have been critics who have criticized that the Wiccan Rede sacrifices future achievements, as individuals will not base their actions off of their instincts, but rather have to deliberate before acting, potentially abstaining from a good idea. Yet most Wiccans feel that the collective achievements humanity must be founded on morality rather than selfish actions.